For students of History, visiting historical sites is a major part of their learning process. 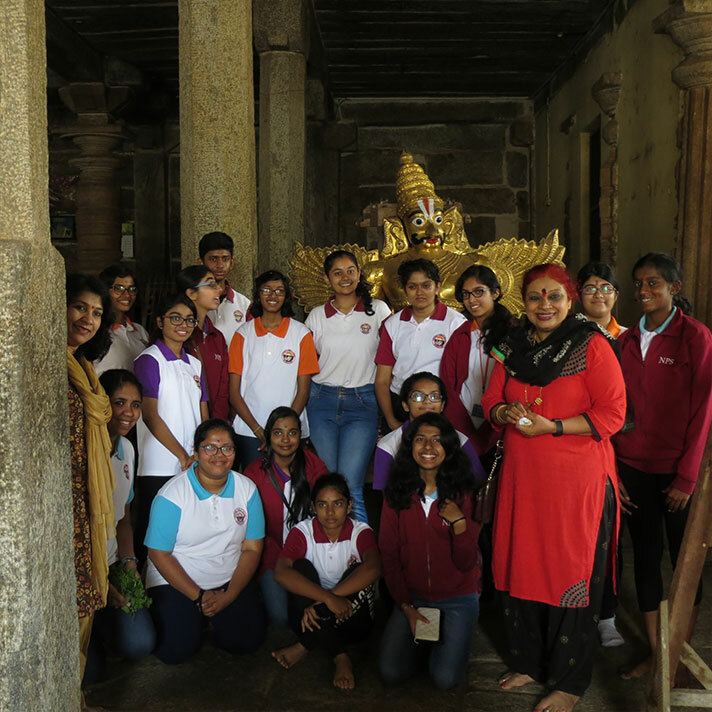 Therefore, the Humanities students of Grade 11 and the History students of grade 12 were taken for a field trip to Mysore and Srirangaptnam in the month of September 2018. 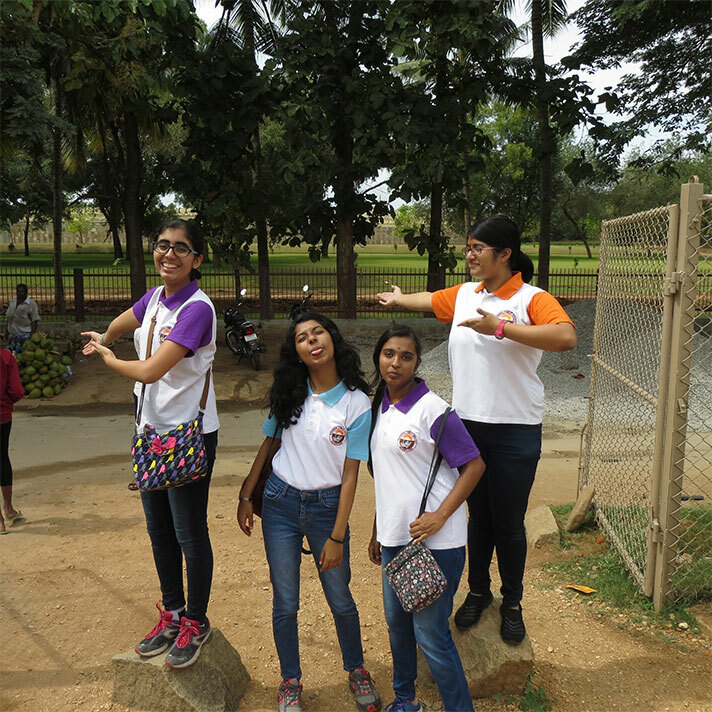 The first stop was at the Summer Palace in Srirangapatnam, where the students marveled at the enormous palace grounds, the paintings and woodwork inside the palace and the various artefacts displayed, from Tipu Sultan’s weaponry to his clothing. Then, they visited Colonel Bailey’s dungeon, where this infamous British Officer was imprisoned and made to stand in knee deep water while his hands were chained along with his accomplices. This dungeon fascinated the students, especially when the guide showed them the spot at which a cannonball had burst through, the hole in the wall still present to this day. 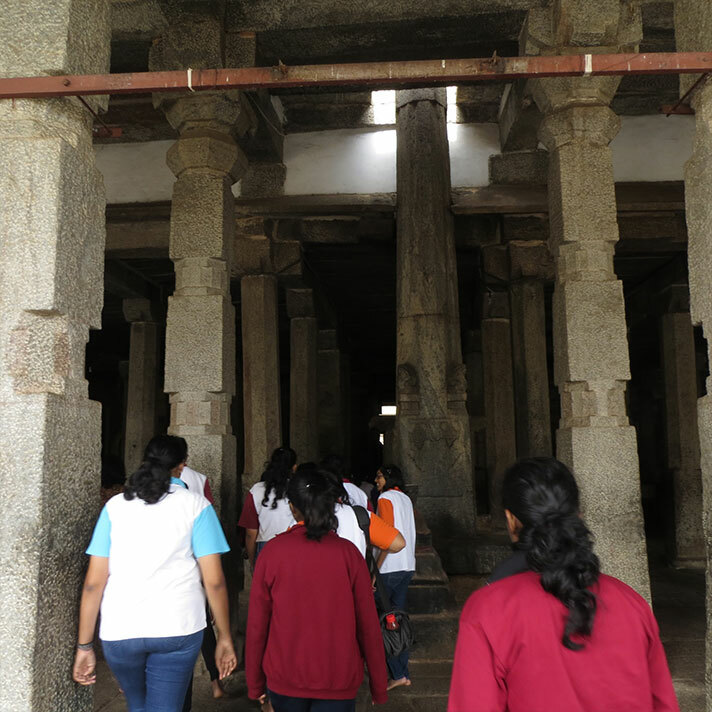 After this, the students’ next stop was at the famous Ranganathaswamy temple. A temple dedicated to one of Lord Vishnu’s manifestations, the temple is one of considerable antiquity. This temple’s sculptures and architecture never fails to awe people, and these students were no different. After Srirangapatnam, the final stop was at the famous Mysore Palace. 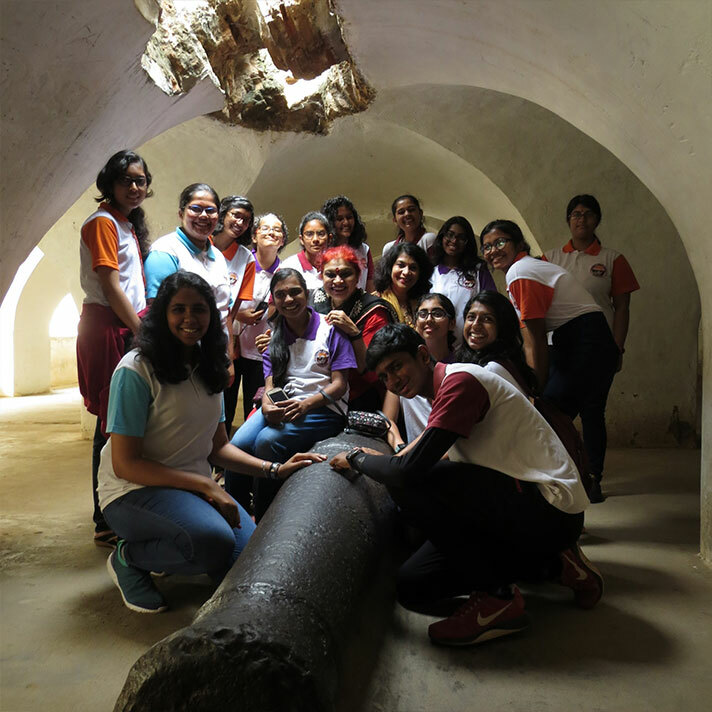 Here, the students spent two hours exploring the palace’s beautiful artwork, its artefacts, wrestling halls, wedding halls and even got the opportunity to view a room closed off to the public containing taxidermied animals and the king’s weapons. Every aspect of this palace was interesting and remarkable.